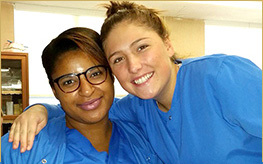 Students from Brockton and Norton High School Share Their Dual Enrollment Stories! 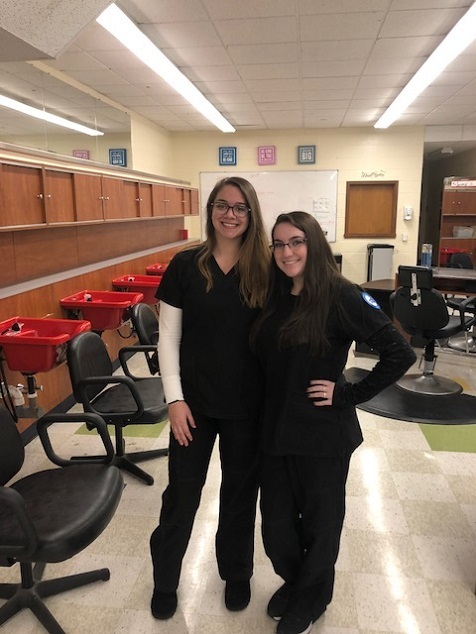 This past January, the first Dual Enrollment students started in STI’s Adult Cosmetology Program. Both students, who were seniors in high school, were referred by their Guidance Counselors. Kari, who had lost a close friend at the age of 13, wanted to do well for herself and her best friend who had left quite an impact on Kari. She had always wanted to go to Southeastern Vocational Technical High School so when she heard about the Dual Enrollment program she was excited to start her post-secondary education early and still be able to graduate high school on time. She really likes that it is an evening program because it allows her to work and be a full-time student. She looks forward to getting her Cosmetology license after graduation and plans to work in a salon building up her clientele. Sabrina’s main challenge to enrolling at STI was managing her time as a high school senior and having transportation to school in the evenings. But after touring the school, meeting the staff and hearing about the program, she felt very comfortable and ready to go for it. She could tell that the staff was supportive, encouraging and helpful and that they truly want their students to succeed. One of the things that Sabrina likes most about STI is the opportunity to learn from guest speakers and in class demonstrations which allow students to receive industry certifications. Any questions regarding the High School Dual Enrollment program can be directed to Pat Illsley, pillsley@sersd.org or 508-230-1374 or Rhonda Jermyn, rjermyn@sersd.org or 508-230-1236. Click here to read more online! *In-district towns only, Cosmetology, Culinary Arts, Electricity, HVAC. *Coming soon, Advanced Manufacturing!